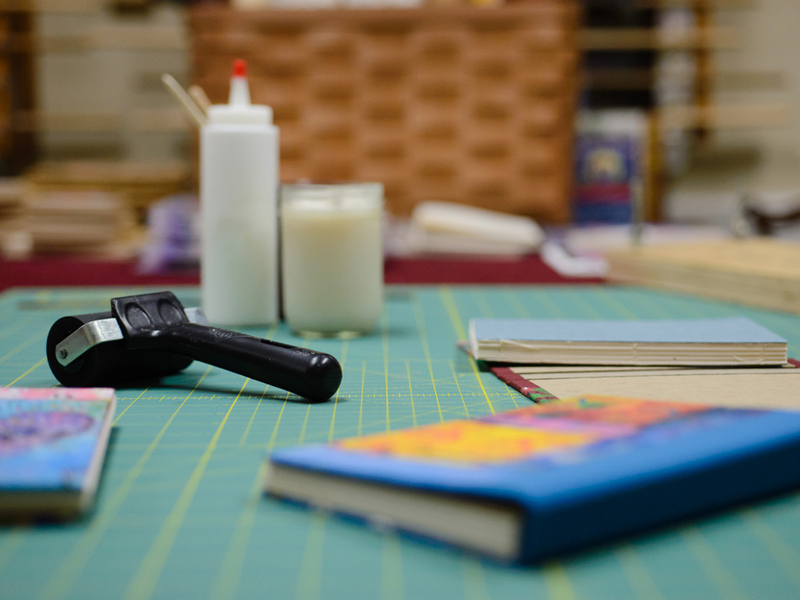 All of our journals and book repairs are done by hand in the bindery/workshop at Pixel Point. 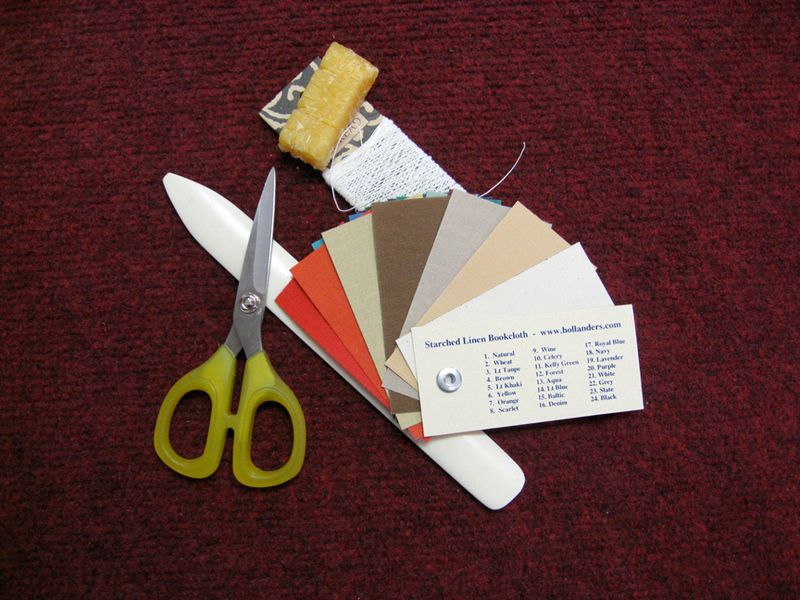 We use eco-friendly or alternate fiber paper for book blocks. 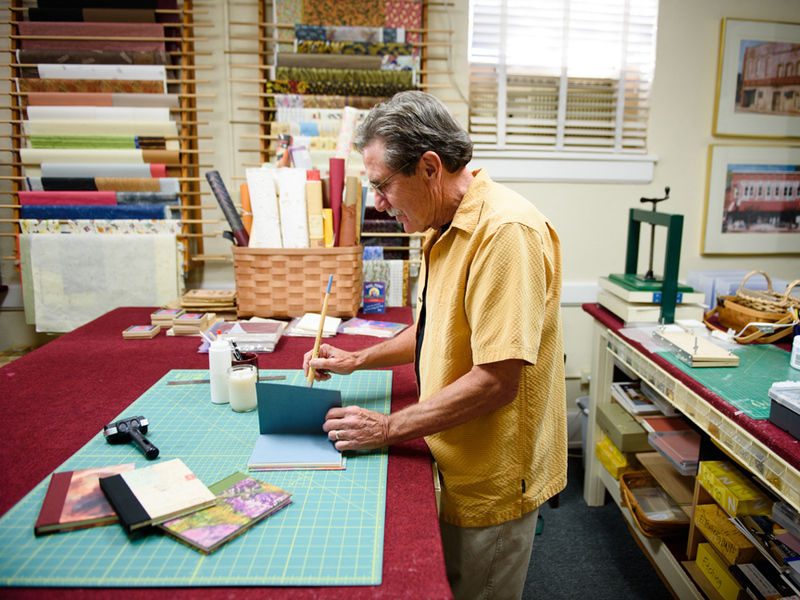 We hand fold and hand stitch the signatures into book blocks. 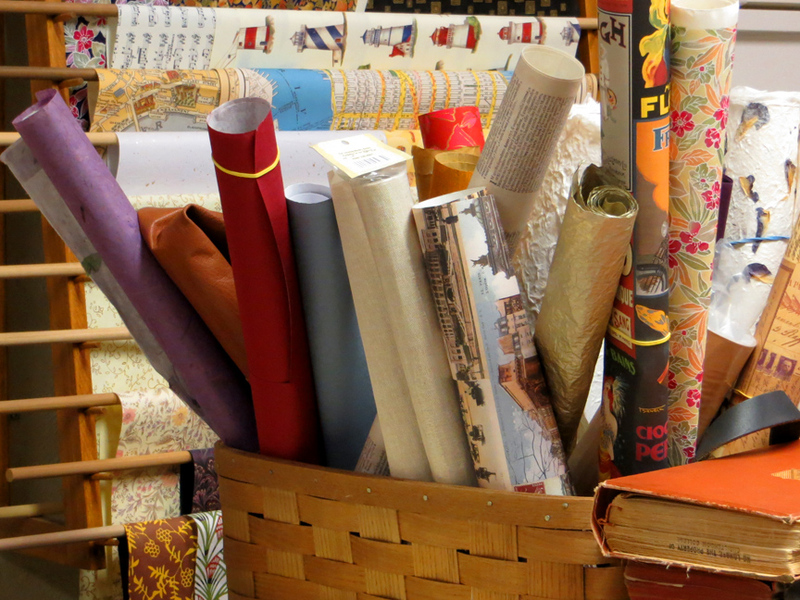 We use linen book cloth for spines. 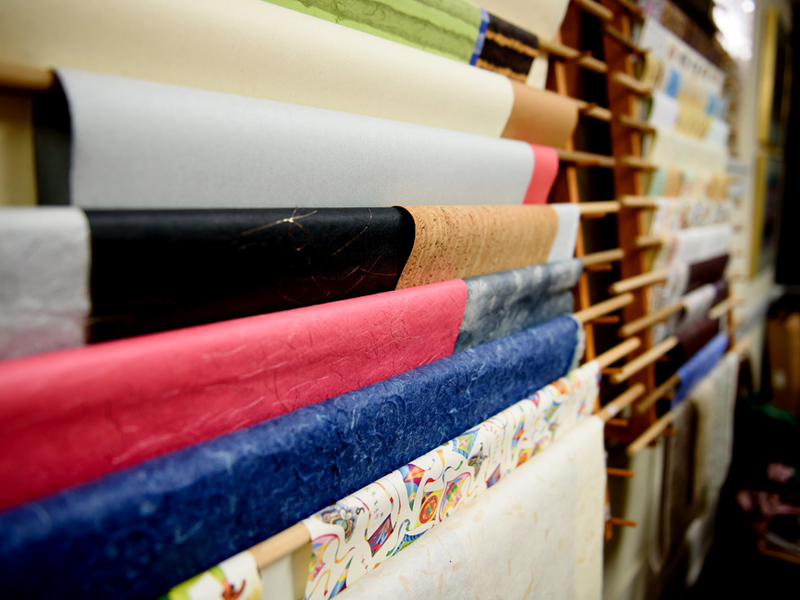 We use Washi or handmade paper for the covers. We use long grain wheat paste for construction. 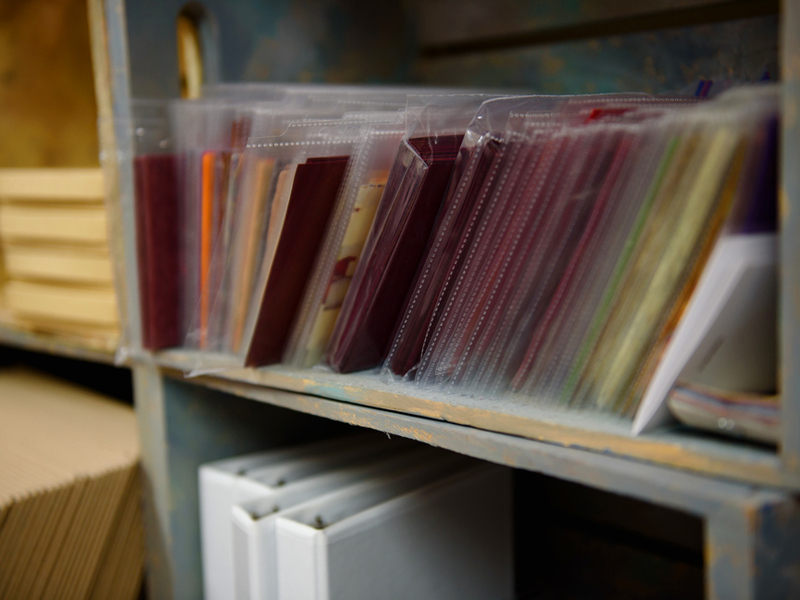 Our books are finished in presses to create attractive fold lines along the hinges. 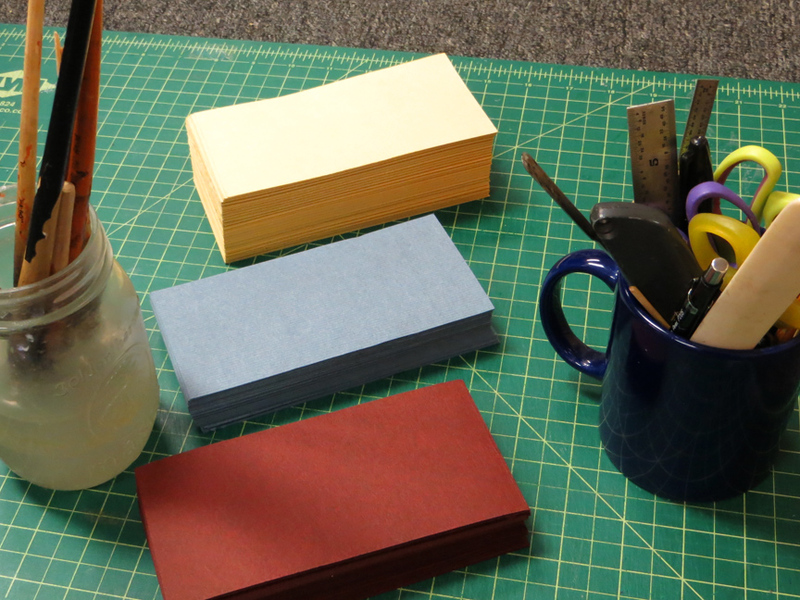 We make 5 x 7 Traditional Journals of 144 pages as well as 3 x 3 Petite Journals. We make custom journals to order and have our line of journals for Christmas Eve, Thanksgiving, Travel, and Hiking. We use Fruit Crate Art graphics and Folk Art graphics for covers in our line of Pocket Journals. Sometheme for Everyone!